My video essay analyzing the 1966 film Blow-Up. A full list of sources are available in the credits. Questions and criticism are welcome in the comments. The original trailer for the Michelangelo Antonioni film “Blow Up,” starring David Hemmings, Vanessa Redgrave, and Sarah Miles. Schaeffer takes the reader through the history of western culture beginning in Roman Europe and ending in the Immoral States of America. He brings the reader through the major philosophical ideas of history beginning with the Self Deification of the Romans (particularly the emperors) and into today’s humanistic, apathetic anti-philosophy. Given the vast knowledge that Schaeffer provides in his book, readers are left to draw our own conclusions to this question as he does not explicitly say how we should “then” live. Which in and of itself is a good thing, otherwise we would all be a bunch of little Schaeffers running around waiting for the Elite Society Members to take over the world and doom us all for one last time. One thing in this book was particularly striking throughout Schaeffer’s discourse on the “rise and decline of western thought and culture.” The idea of using the cinema as a vehicle for philosophy was and still is a powerful mode of “infiltrating” the minds of the “westerners” with the ideas and ideals that the directors and producers have in mind. Using “art” (and the word “art” is used here loosely) as a vehicle to show the viewer the “artist’s” worldview is not exactly a new concept. In the time before the cinema even existed, artists showed their worldview through their paintings, plays, music, tattoos and photography. With the evolution of technology, man is now able to use film (in the sense of movies) to let the world look in on how he perceives it. The use of cinema for this purpose really took off in the 1960s. Before this, most films were more or less for entertainment purposes. (However, Schaeffer would contest that it is impossible for art to exist for sheer entertainment. Instead he would say that all art produced says something about the philosophy of the producer.) In the 1960s, though, men like Alain Resnais, Ingmar Bergman, Luis Bunuel, and Michelangelo Antonioni popularized cinematic philosophy. These directors were at no loss for viewers, as movies were, and still are, one of the most popular mediums for entertainment. This kind of popularity allowed for many to see and be “infiltrated” with the worldview of the directors. At this time, in the 1960s, the popular philosophy being expressed in the cinema was that of humanism and non-reason. These movies portrayed man as nothing more than a machine. They sought to extract any trace of emotion or humanity from the human being. This idea is best noted in the movie “Blow Up” by Antonioni. ”Blow Up” is essentially a story about a photographer who thinks that he may have photographed a murder while casually snapping photos. He then “runs into” a mysterious woman who wants him to turn over the film to her. When he does not oblige, she shows up at his studio (without having known the address). The evidence (presumably of the murder) then disappears. The woman does a series of disappearing acts. The photographer returns to the park without his camera and finds the body, which then disappears itself. The film closes with a scene of mimes playing tennis. Many people misunderstand the intentions of Antonioni in his making of this film. 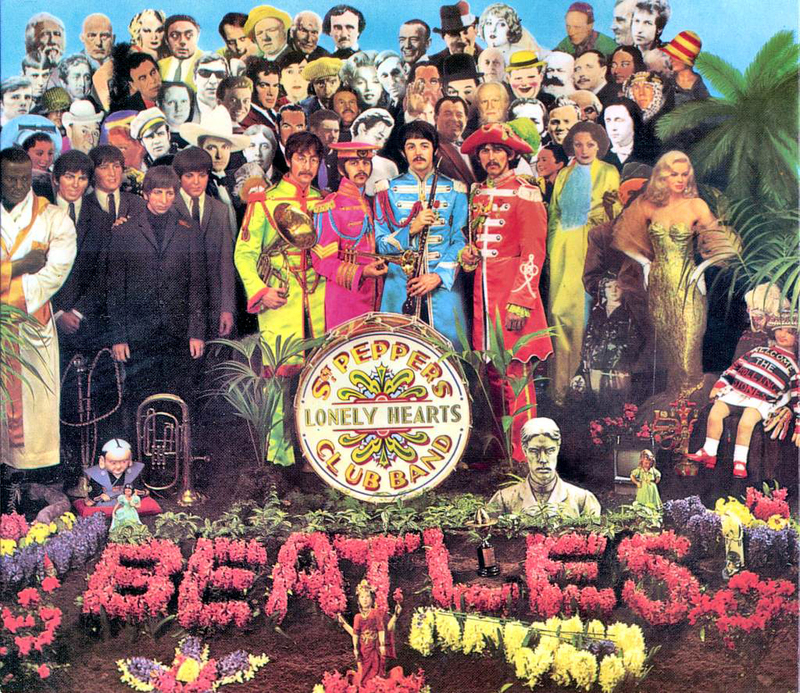 They perceive it to be an analysis of the fashion business in the 1960s. However, Antonioni’s purpose in making this film was to show to the world that everyone perceives reality in their own way and ultimately sees only what they want to see. Directors pushing their worldview upon viewers are prevalent in today’s society as well. Many movies of today seem to say basically the same things as the movies of the 1960s, just less intelligently. Movies of today speak of guiltless crimes, sexual enjoyment without commitment, and senseless gross-out humor. Is this what our culture is? Do the leaders of media really believe this is where our culture is? The answer is a resounding “yes” for both questions. This must be where our culture is – otherwise, movies like this would not be grossing upwards of $50 million on their opening three days. As we as a society even today (as in the 1960s) slip further into non-reason and self gratification, yet attempt to, at the same time, seek after optimism, we just slip further and further into the detachment of meaning from mankind. As saddening as this might be to the Christian sector, there is little being done to counteract these worldviews. If cinema is used as a vehicle to express philosophies and worldviews, then why not try to harness it for the advancement of the Biblical worldview? A few people have put forth valiant efforts, yet none have really succeeded (save for Mel Gibson’s “Passion of the Christ”, “Left Behind”, and “Facing the Giants”). Maybe Christian producers lack the (monetary) resources to make “quality” films. This is not really the case however. Christian cinema lacks the following of the secular crowd. Why would the non-reasoning western culture want to see a movie that promotes morals, and a purpose for all of mankind? This would by no means be cool at all. Also, Christian movies are made, most of the time if not all of the time assuming that the viewer already has some sort of understanding of the basic principles of Christianity, which is not always the case. This leads to the question: Why are Christians making movies? Is the purpose merely to entertain ourselves? Or is it to evangelize the unsaved? I would submit that if it were for the evangelizing of the unsaved, then we are doing a lousy job at it. How can we expect an unsaved person to understand something that is completely foreign to them? Cinema as a vehicle for philosophy has been very successful. The films of today speak volumes about where society as a whole is today. This is troubling, and as long as humanist philosophy is played on the big screen, society will stay troubled. Society might not want to stay troubled though, if Christians can offer “quality” alternatives. These alternatives need not be preachy and evangelistic, but they can offer good morals and values with an appealing story. Schaeffer, Francis A. “How Should We Then Live? The Rise and Decline of Western Thought and Culture.” Wheaton, Ill.: Crossway Books, 2005. Jawills. “A parable about the possible dehumanizing effects of photography.” IMDB. 19 May 2000. Accessed 2007. 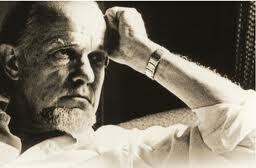 Francis Schaeffer below in his film series shows how this film was appealing to “nonreason” to answer our problems. They showed pictorially (and with great force) what it is like if man is a machine and also what it is like if man tries to live in the area of non-reason. In the area of non-reason man is left without categories. He has no way to distinguish between right and wrong, or even between what is objectively true as opposed to illusion or fantasy….One could view these films a hundred times and there still would be no way to be sure what was portrayed as objectively true and what was part of a character’s imagination. if people begin only from themselves and really live in a universe in which there is no personal God to speak, they have no final way to be sure of the difference between reality and fantasy or illusion. But Bergman (like Sartre, Camus, and all the rest) cannot really live with his own position. Therefore in The Silence the background music is Bach’s Goldberg Variations. When he was asked in the filmed interview about music, he said that there is a small holy part of the human being where music speaks. Bergman also said that while he was writing the script for the film SILENCE that he had the music of Bach’s Goldberg Variations playing in his home and the music interfered with that which was being set forth in that film. A good example is Antonioni’s BLOW UP. The advertisement for the film read: “Murder without guilt, love without meaning.” Antonioni was portraying how, in the area non-reason, there are no certainties concerning moral values, and no human categories either. BLOW UP had no hero. Compare this with Michelangelo’s DAVID–that statement of humanist pride in the Renaissance. Man had set himself up as autonomous, but the end result was not Michelangelo’s DAVID, but Antonioni’s non-hero. All there is in the film is the camera which goes “click, click, click,” and the human has disappeared. The main character snaps pictures of individual things, particulars. One might point out, for example, the models he snaps: all their humanity and meaning are gone. The Last Year at Marienbad and Blow Up. Nancy Holt’s work is highlighted at the 9:30 point in the film above. Nancy Holt (born April 1938) is an American artist famous for her public sculpture, installation art and land art. Throughout her career, Holt has also produced works in other mediums, including film, photography, and writing artist’s books. Nancy Holt was born in Worchester, Massachusetts. She spent a great deal of her childhood in New Jersey. She was educated at Tufts University in Medford, Massachusetts. Three years after graduating, she married fellow environmental artist Robert Smithson in 1963. Holt began her artistic career as a photographer and as a video artist. This involvement with photography and camera optics are thought to have influenced her later earthworks, which are “literally seeing devices, fixed points for tracking the positions of the sun, earth and stars.” Today Holt is most widely known for her large-scale environmental works, Sun Tunnels and Dark Star Park. However, she has created site and time-specific environmental works in public places all over the world. Holt has contributed to various publications, which have featured both her written articles and photographs. She has also authored several books. Holt has received five National Endowment for the Arts Fellowships, New York Creative Artist Fellowships, and a Guggenheim Fellowship. Holt along with Beverly Pepper is a recipient of the International Sculpture Center‘s 2013 Lifetime Achievement in Contemporary Sculpture Award. She currently works and resides in Galisteo, New Mexico. Holt is associated with earthworks or land art. Land art emerged in the 1960s, coinciding with a growing ecology movement in the United States, which asked people to become more aware of the negative impact they can have on the natural environment. Land art changed the way people thought of art; it took art out of the gallery or museum and into the natural landscape, the product of which were huge works engaging elements of the environment. Unlike much of the commercialized art during this time period, land art could not be bought or sold on the art market. Thus, it shifted the perspective of how people all over the world viewed art. Land art was typically created in remote, uninhabited regions of the country, particularly the Southwest. Some attribute this popular location for land art to artists’ need to escape the turmoil in the United States during the 1960s and 70s by turning to the open, uncorrupted land of the West. Holt believes this artistic movement came about in the United States due to the vastness of the American landscape. As a result of earthworks not being easily accessible to the public, documentation in photographs, videos, drawings became imperative to their being seen. The first exhibit of contemporary land art was at the Virginia Dwan Gallery in New York in 1968. Other earth artists who emerged during this time include Robert Smithson, James Turrell, Walter De Maria, Michael Heizer, Dennis Oppenheim and Peter Hutchinson. Holt’s works of art often deal with issues of how people perceive time and space. The various monumental works she has created blend with and complement their environment. Works such as Hydra’s Head do not merely sit in their environments, but are made of the land, stand on it and are created to be harmonious with the land. The pools in this work are at the top of concrete tubes imbedded in the ground. The land already at the site surrounds these pools. They reflect the natural landscape, while not disturbing it. Holt thinks about human scale in relation to the work she creates. People can interact with the works and become more aware of space, of their own visual perception, and of the order of the universe. Holt’s works incorporate the passage of time and also function to keep time. For example, Annual Ring functions so that when sunlight falls through the hole in the dome and fits perfectly into a ring on the ground, it is solar noon on the summer solstice. At different times, the sun falls differently on the work and other holes in the dome align with celestial occurrences. Holt has said that she is concerned with making art that not only makes an impact visually, but is also functional and necessary in society, as seen in works like Sky Mound, which serves a dual function as a sculpture and park and it also generates alternative energy. In her works, Holt creates an intimate connection to nature and the stars, saying, “I feel that the need to look at the sky-at the moon and the stars-is very basic, and it is inside all of us. So when I say my work is an exteriorization of my own inner reality, I mean I am giving back to people through art what they already have in them.” In other words, Holt is saying that people have within them a basic need to observe the sky and through her works she wants to highlight and make people aware of that need. Collaboration with architects, engineers, construction crews, and the like is an essential part of creating land art. Solar Rotary is a work located on the campus of the University of South Florida in Tampa, Florida. The work, consists of 20 ft (6.1 m). aluminum poles topped with a swirl of metal called a shadow caster, which casts a circle of light on a central seat when it is solar noon on the day of the summer solstice. On five days a year at different times, the shadow caster is designed to create a circle of light around plaques placed in the ground that mark important events in Florida’s history. Thus, for Solar Rotary, Holt employed Dr. Jack Robinson, an archaeo-astronomer and professor to help her, among other things, to plot the sun’s coordinates for the work. For almost all of Holt’s works, she has had some collaboration. For Dark Star Park, Holt coordinated with developer J.W. Kaempfer, Jr., of the Kaempfer Company, in integrating the design of his adjacent building, Park Place Office Building into her design for the park. She also worked in collaboration with an architect, landscape architect, engineers, and real estate developers on the work. For Rock Rings, Holt searched far and wide to find the right masons to work on the piece and also had local stone called schist, which was 250-million-years old, quarried by hand for the work. Despite all of the collaboration, Holt notes that she is always present for the construction of her artworks. on June 2012, she completed Avignons Locators, her first site-specific work made in France on the basis of the Missoula Ranch Locators: Vision Encompassed (1972). This work, currently under finishing process, involved a team of academics, teachers and students, but also an astrophysist, a surveyor, a metalworker and an architect. Sun Tunnels in Lucin, Utah. Sun Tunnels is located in the Great Basin Desert outside of the ghost town of Lucin, Utah. The work is a product of Holt’s interest in the great variation of intensity of the sun in the desert compared to the sun in the city. Holt searched for and found a site which was remote and empty. The work consists of four massive concrete tunnels (18 feet long and nine feet in diameter), which are arranged in an “X” configuration to total a length of 86 feet (26 m). Each tunnel reacts differently to the sun, aligned with the sunrise, sunset, of the summer or winter solstice. Someone visiting the site would see the tunnels immediately with their contrast to the fairly undifferentiated desert landscape. Approaching the work, which can be seen one to one-and-a-half miles away, the viewer’s perception of space is questioned as the tunnels change views as a product of their landscape. The tunnels not only provide a much-needed shelter from the sweltering desert sun, but once inside the dazzling effect of the play of light within the tunnels can be seen. The top of each tunnel has small holes, forming on each, the constellations of Draco, Perseus, Columba, and Capricorn, respectively. The diameters of the holes differ in relation to the magnitude of the stars represented. These holes cast spots of daylight in the dark interiors of the tunnels, which appear almost like stars. Holt has said of the tunnels, “It’s an inversion of the sky/ground relationship-bringing the sky down to the earth.” This is a common theme in Holt’s work. She sometimes creates this relationship with reflecting pools and shadow patterns marked on the ground, like in her work Star Crossed. Dark Star Park in Rosslyn, Virginia. Dark Star Park was commissioned by Arlington County, Virginia in 1979, in conjunction with an urban-renewal project. Construction of the work began in 1984. Holt worked with an architect, landscape architect, engineers, and real estate developers on the project. The artwork is at once a park and a sculpture. Built on two-thirds of an acre of land where a run-down, old gas station and warehouse once stood, Holt transformed the space. The park consists of five spheres, two pools, four steel poles, a stairway, a large tunnel for passage, a smaller tunnel for viewing only and plantings of crown vetch, winter creeper, willow oak, and earth and grass. The forms stand in stark contrast to the busy and highly developed commercial area that surrounds the space. There are places to walk and sit within the park, giving a passersby a chance to escape from the urban environment. Dark Star Park is more socially interactive than Holt’s other works. Holt paid attention to how people both inside and outside the park would see the spheres. The work alters the viewer’s perception by using curvilinear forms, such as the walkways that mimic the curving roads surrounding the site. Walking in the park or driving by it, viewers may mistake spheres of different sizes to actually be the same size or one sphere may eclipse another. The tunneled passages into the park frame certain sculptural elements, as do the reflections in the pools. However, Holt has made sure not to alienate the park entirely from its surroundings. The spheres are made of gunite (a sprayable mixture of cement and sand), asphalt, precast concrete tunnels, steel poles and stone masonry. These materials relate the park to the buildings located near the artwork. The work explores the concept of time and our relationship to the universe. When approaching one of the spheres, a visitor to the park might be reminded of the lunar surface or when glancing at the quiet pools of water around the spheres, may relate them to craters. This is no coincidence. Holt has a fascination with solar eclipses, as well as in the shadows cast by the sun on the surface of the earth and the name of the park is a reference to the astronomical appearance of the large spheres that are its most distinct features. In speaking about the name Holt has said, “It’s called Dark Star Park because in my imagination these spheres are like stars that have fallen to the ground-they no longer shine-so I think of the park/artwork in a somewhat celestial way.” By engaging the viewer with these spheres and the other elements surrounding them in the park, Holt brings the vast scale of nature and the cosmos back to human scale. Time is also a major part of this work. Once a year on August 1 at 9:32 am, the shadows cast by two of the spheres and their four adjacent poles align with permanent asphalt shadow patterns outlined on the ground. This date was selected by the artist to commemorate the day in 1860 when William Ross bought the land that today is Rosslyn, Virginia, where the park is situated. Holt took on the challenging task of playing many roles in the park’s creation, becoming at once an artist, landscape designer, and committee member for approving plans for a nearby building. To take on all three roles possibly had never been done before by an artist, thus the park and its designer remain important to the history of art. The work was surveyed in June 1995. At that time “treatment was needed.”. Thus, seven years later, when the park was finally restored in 2002 it was long overdue. Located in Northern New Jersey, Sky Mound sits where a 57-acre (230,000 m2), 100-foot (30 m)-high landfill once stood. The state’s Hackensack Meadowland Development Commission (HMDC) asked Holt to reclaim the site in an effort to provide an environmentally safe spot for plant and animal life to reside and for humans to enjoy. Still unfinished in April 2008, the landfill is to be turned into an earth sculpture and public park. The landfill has been covered with grass. Ten mounds stand upon the site, as well as steel poles, plants, and a pond, designed for the approximately 250 species of migratory birds that visit the area seasonally. There will eventually be wind indicators and gravel paths. On several astronomically significant dates each year, the work will provide its viewer with unique views of the sun, moon, and several stars. In addition, a series of arcing pipes will go down into the landfill, recovering methane from the 10 million tons of garbage below. This will provide an alternative source of energy for those in the community. Sky Mound’s location makes it visible and accessible to many people. Holt believes the work will increase awareness of the complex problem of how we dispose of our waste and trash. It also raises questions about the sun, as every ecosystem depends on the sun and its energy for survival. In 1991, funding on Sky Mound was stopped to perform a technological study at the site; currently construction remains postponed. Holt has also made a number of films and videos since the late 1960s, including Mono Lake (1968) (also with artist Michael Heizer), East Coast, West Coast (1969), Swamp (1971) (in collaboration with her late husband Robert Smithson) and Breaking ground: Broken Circle/Spiral Hill, a video “guided by Smithson’s film notes and drawings” and completed forty years on. Points of View: Clocktower (1974) features conversations between Lucy Lippard and Richard Serra, Liza Bear and Klaus Kertess, Carl Andre and Ruth Kligman and Bruce Brice and Tina Girouard. In 1978, she produced a 16mm color film documenting the seminal work Sun Tunnels. 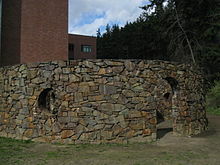 Rock Rings in Bellingham, Washington. Arlington County Department of Parks, Recreation and Community. Nancy Holt: Dark Star Park. http://www.arlingtonarts.org/cultural_affairs/public%20art%20images/dark%20star%20brochure.pdf. Arnason, H.H. History of Modern Art. 5th ed. Upper Sadlle River, New Jersey: Prentice Hall, Inc., 2004. Baskin, Anita. “Stonehenge in New Jersey.” Omni, August 1992, 63. Beebe, Mary Livingston. “Tell Me, Is It Flat or Is It Round?” Art Journal 41, no. 2 (1981): 169-170. Beardsley, John. “Traditional Aspects of New Land Art.” Art Journal 42, no. 3 Earthworks: Past and Present (1982): 226-332. Bennett, Lennie. “Nancy Holt, Solar Rotary.” “St. Petersburg Times, August 6, 2006. http://www.sptimes.com/2006/08/06/Floridian/Nancy_Holt__Solar_Rot.shtml. Brown, Jeffrey. “Online NewsHour: Robert Smithson’s ‘Spiral Jetty’ Celebrates its 30th Anniversary.” PBS Online, May 6, 2005. Doss, Erika. “Twentieth-Century American Art.” Oxford: Oxford University Press, 2002. Grosenick, Uta, ed. Women Artists in the 20th and 21st Century. London: Taschen, 2005. Marter, Joan. “Collaborations: Artists and Architects on Public Sites.” Art Journal 48, no. 4 Critical Issues in Public Art (1989): 315-320. Matlisky, Barbara C. Fragile Ecologies: Contemporary Artists’ Interpretations and Solutions. New York: Rizzoli International, 1992. McGill, Douglas C. “Jersey Landfill to Become an Artwork.” New York Times, September 3, 1986. Saad-Cook, Janet, Charles Ross, Nancy Holt, and James Turrell. “Touching the Sky: Artworks Using Natural Phenomena, Earth, Sky and Connections to Astronomy.” Leonardo 21, no. 2 (1988): 123-134. Smithsonian American Art Museum. Smithsonian Institution Research Information System (SIRIS). http://siris-artinventories.si.edu/ipac20/ipac.jsp?session=1209Y08P255N5.856&profile=ariall&uri=link=3100006~!203174~!3100001~!3100002&aspect=Browse&menu=search&ri=2&source=~!siartinventories&term=Holt%2C+Nancy%2C+1938-+%2C+sculptor.&index=AUTHOR. Van Wagner, Judy Collischan. Long Island Estate Gardens. Greenvale New York: Hillwood Art Gallery, May 22-June 21, 1985. Withers, Josephine. “In the World: An Art Essay.” Feminist Studies 9, no. 2 (1983): 325-334.